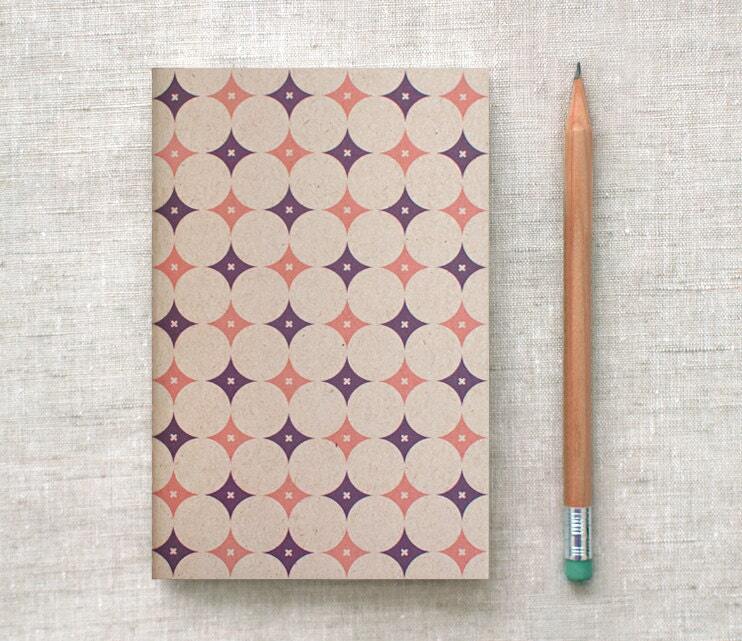 This recycled mini sketchbook features diamonds and x's on the front in alternating peach & purple on light brown 100% recycled cardstock. Each diamond is formed by circle shapes with a little "x" knocked out of each diamond. Perfect for notes on the go, small enough to carry in a purse or back pocket. Handcrafted by me in New York.